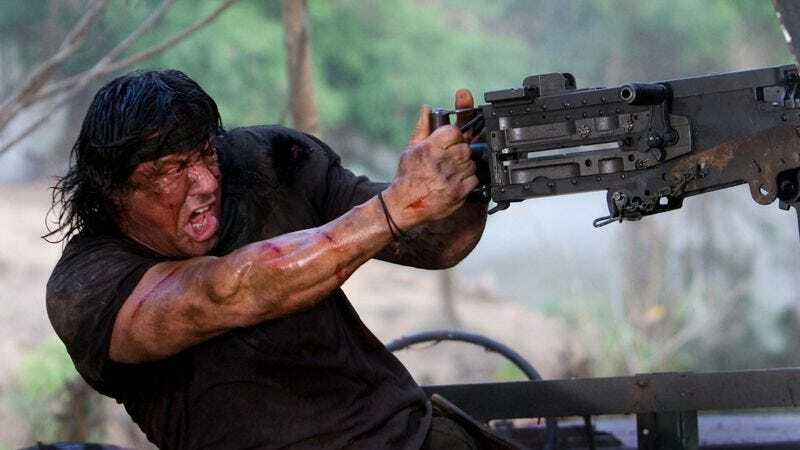 Despite his previous desire to have the fourth film John Rambo act as a series-ender, Stallone seems to have warmed to the idea of again playing one of his most iconic characters. (He’s also apparently warmed to Twitter too, having previously announced his plans to stop using the social media platform.) Rambo can now join Rocky Balboa in the pantheon of once-retired characters that Stallone has instead decided to resurrect, Lazarus-style, trotting them out every couple of years to increasingly diminishing artistic, if not financial, returns. (The last Rambo film grossed $113 million worldwide.) If you’d like to experience a much more entertaining version of something called Rambo: Last Blood, designer Peter Javidpour (The Last Of Us) has created an online flash game version that you can play here.